Here is a portable version of windows live messenger 9 which you can carry in your USB drive. 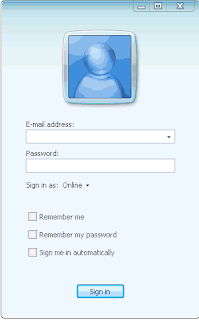 Portable Windows Live Messenger 9 is a fully functional package of Windows Live Messenger optimized for use on a USB Flash drive. If you are running Portable Windows Live Messenger Lite 8.5, it will not work anymore because Microsoft's server-side support for Windows Live Messenger 8.5 (2008) has been retired. You'll need to upgrade to Portable Windows Live Messenger 9. Tabbed Chat on Windows Live Messenger 2010 ?